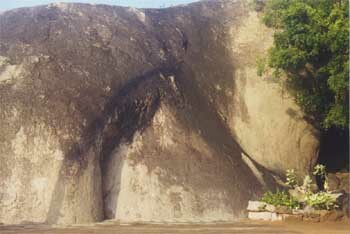 Ganesa Giri is a natural rock formation like an elephant dedicated to Lord Ganesa who played a key role in the Valli Tirumanam. 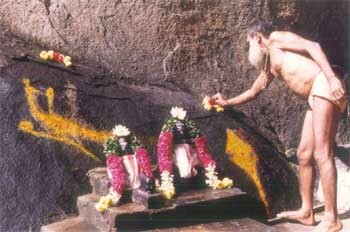 Lord Ganesa, in the form of a natural rock formation of Ganesa Giri, protects all the bhaktas. Twice daily puja is performed to Lord Ganesa first of all before puja is offered to any other deity, including Pongi Amma and Lord Murugan themselves.